Happy March from Saratoga CERT! West Valley-Quito CERT Division’s next meeting is scheduled for Thursday, March 21st at Raji’s house. 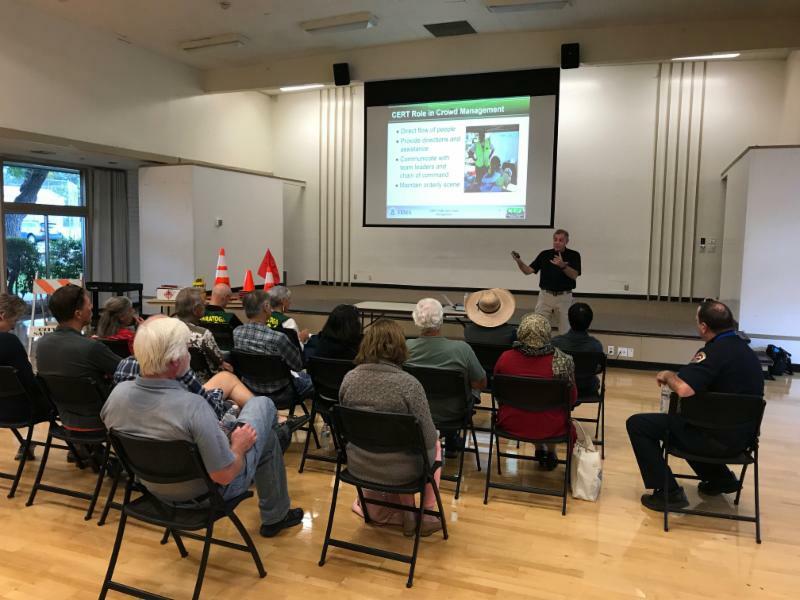 On Thursday, 11/08, 35 residents (and two non-residents) of Saratoga participated in the PG&E neighborhood workshop and learned about how to respond to gas and electric emergencies. The Saratoga Community Emergency Response Team (CERT) hosted the two-hour event and everyone was so impressed with the topic and the presenter. We received three inquiries about our next Saratoga CERT Academy scheduled for April. Thank you again to Kerry Harris for the great crowd and traffic management class last month. We learned how to manage crowds in the event of a disaster or a distribution process. The group also learned techniques for minimal traffic control. The highlight of the event was the lighting of road flares. 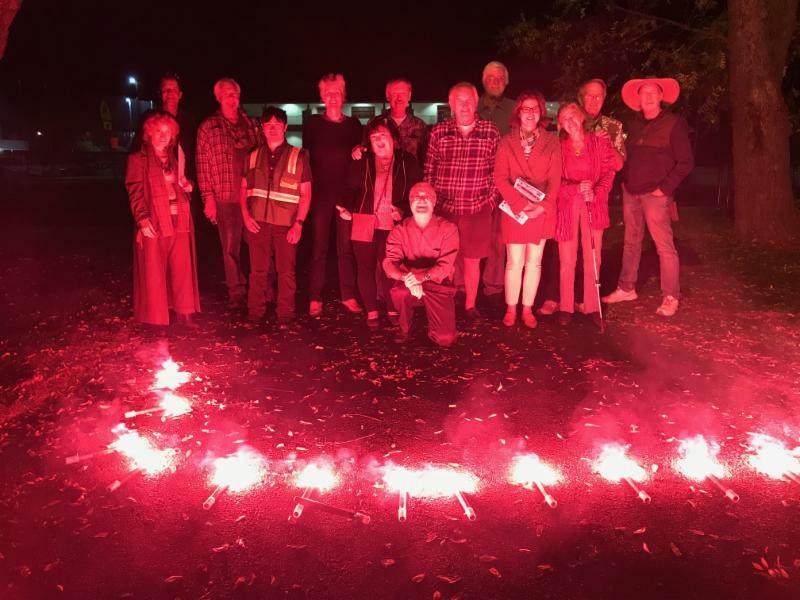 Many of the CERT folks had never used a road flare before. National Preparedness Training Solutions provided an excellent training for our group. We are now ready to assist in traffic or crowd control when asked. 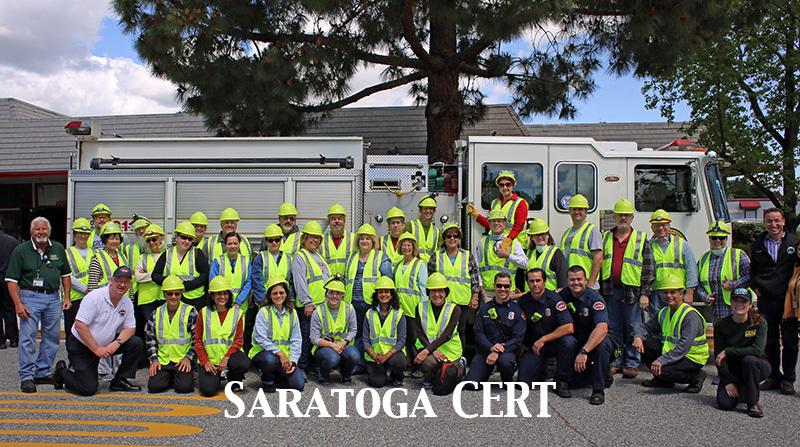 Saratoga had 15 participants in the recent County-wide CERT Drill – congratulations to all who mentored, volunteered, and participated. I don’t have a Saratoga list for the Ham ARES/RACES part of the drill, but I know there were at least 4 from Saratoga there – again congrats! Ron Jones, Saratoga’s newest Assistant Emergency Coordinator, will be posting regularly to our CERT blog – http://saratogacert.org/category/blog/ – with updates of our local ham activities. If others of you would be interested in writing for our blog and newsletter, please contact Brent Hailpern directly at info@saratogacert.org . Thursday, October 25th, from 5:30 to 7:00pm in the multi-purpose room in the Community Center. Don’t miss this NEW and valuable training! Led by Kerry Harris, this class is for CERT members only and will provide the necessary information to prepare CERT members for the possibility of being asked to monitor traffic. Each participant will receive their own road flare to practice with – so just for fun, how about everyone wear their CERT vest for this training? 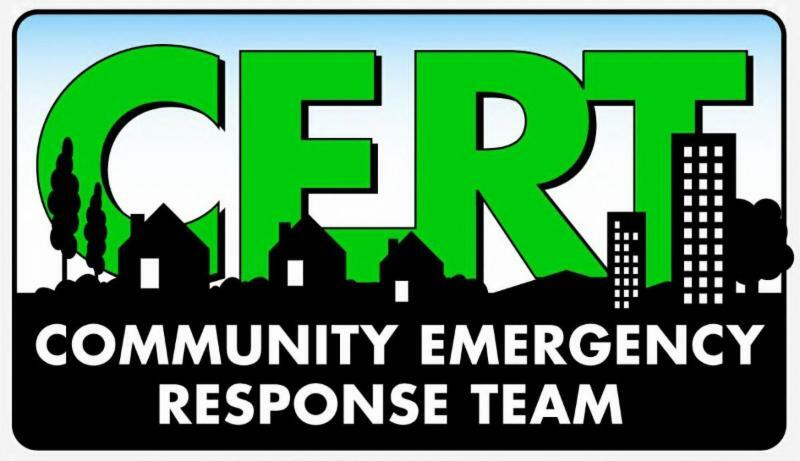 The 2018 County-wide CERT exercise will be held on Saturday, October 27th – if you haven’t signed up to participate in one of the two sessions please do so ASAP at: https://scc-cert-2018.eventbrite.com/ . We would like to thank 4 of our Saratoga CERT members who have already volunteered to be mentors during the drill: Raji Lukkor, Davina Witts, Jessica Fullmer, and William Brooks. The Saratoga City Council will recognize September as National Preparedness Month with a Proclamation during the Wednesday, September 19th Council meeting. All CERT members are welcome to attend (wear your CERT shirts) the meeting that begins at 7:00pm and you will be done by 8:00. Join us! Saturday, 27 October 2018 – County-wide CERT Drill at Moffat Field – details to follow soon. If you have previous CERT drill experience, please consider serving as a mentor for one of the teams on the 27th – formal request to volunteer will be out very soon. Craig Pietrow will be our new logistics chief. Reshma Hyder will take over our computer/IT operations. Jessica Fullmer will assume membership and events leadership. Brent Hailpern will become overall Saratoga CERT lead. We are still looking for additional volunteers to take leadership positions, especially deputy positions for almost all the existing roles. We have created a fourth division, the Vineyards and Jim Foley will be the division lead. All Saratoga CERT members are reminded to get their DSW cards, if they dont have them, by making an appointment with Lori McKenna at 408-868-1240 – If your card has expired, you can contact Lori and ask for a new one without going in for a new picture. General Storm Awareness Training – Wednesday, October 3th, 2018, 6pm-9pm and Saturday October 6th, 2018, 9am-12pm. Note that the County Fire refresher course (and all remaining County Fire refresher courses this year) have been moved to Saratoga Prospect Center. The CERT booth at the Car Show was pleasure to experience again. All volunteers were engaged with the many inquiries (more than previous years) and the spirit of the Car Show. Michael and Bill, brought items and set up and the booth with Brent and Jessica pitching in. We had a great space again next to the Saratoga Chamber. Jessica stayed the day, Bill was there most of the day, having multiple responsibilities, Michael kept us supplied with items, Maggie and Bill Church helped the first two hours, then Davina a nice pass off. A lot of good will and education transpired, Bill and Jessica tore it down and Bill took it all back to CYB. Saratoga CERT Divisions should be thinking about September meeting dates, as well as their supplies request to be discussed at our August CERT meeting. Hams will have the opportunity to participate with ARES/RACES in the county emergency drill on September 6th. Please start talking to your local church/synagogue/mosque about making Saratoga CERT part of their organization emergency plan!